Amazon has chosen not to build a planned facility in New York. With due deference to the charisma of Ms. Ocasio-Cortez and other anti job warriors, most notably state senator Gianaris, and city council member Van Bramer, the fight against Amazon provides a depressing insight into the corrosive impact of the so-called ‘socialist’ Democrats. Amazon proposed to build a four million square foot facility in Queens, New York. The new site promised 25,000 to 40,000 new jobs at an average projected salary of $150,000. In addition, and not included in these projections, the state estimated the project would facilitate 1,300 construction jobs and 107,000 other direct and indirect jobs. Polls showed that 70%of New Yorkers supported the plan. The new facility was projected to add $27.5 billion in state and city tax revenue over 25 years. To induce Amazon to move to New York, Amazon was provided a variety of tax incentives totaling $3 billion. Almost all of this was offered in the form of tax credits, i.e., a reduction in the taxes Amazon would owe New York State and City. $1 billion of that amount was contingent on meeting job creation goals. 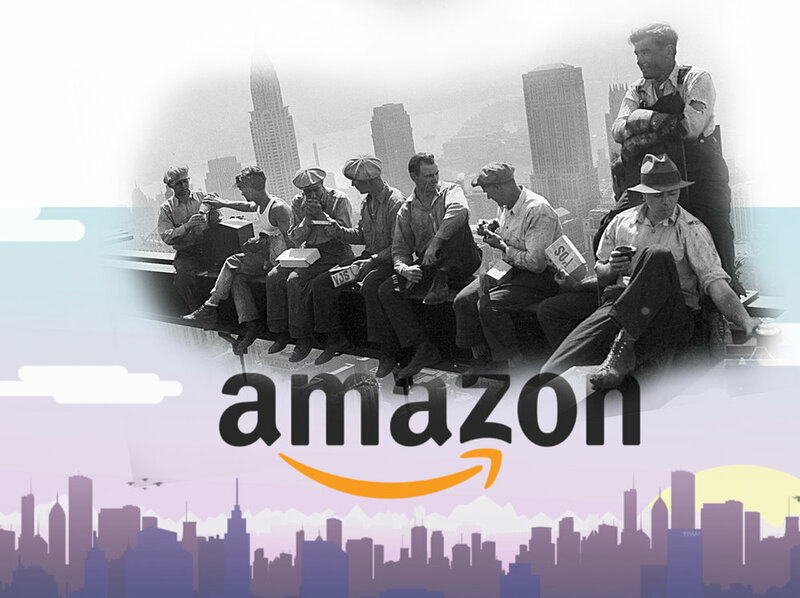 Opponents of the bill claimed that these figures meant that New York would be paying Amazon $48,000 per job, and amounted to “corporate welfare.” As in, ‘we would pay Amazon $ three billion instead of fixing our infrastructure, education, housing, etc.’ Laudable goals but impossible without tax revenues. In a scathing letter, Robert Mujica, the state budget director accused the opposition of either lying or displaying ignorance of basic economics, the three billion of incentives offered to Amazon were in the form of tax reduction, and will not now be available to spend for the public good. Other complaints of Ms Ocasio-Cortez and her cohorts had to do with the opacity of the project. They wanted the community (meaning them), consulted, but New York long ago moved to closed bids in public construction projects to improve the quality of the bids. She may not like the process, but the mayor and the governor followed the proper procedures. Othersfretted that the project would put pressure on neighborhood housing AND that workers might not to choose to move into the area. Faced with vocal opposition and the threat of multiple lawsuits, Amazon decided to decamp for friendlier, as yet unnamed, grounds. Not to worry, Ocasio-Cortez celebrated victory and took Amazon’s decision as a sign that they would not have been willing to negotiate with community groups or perhaps the PTA? She is no doubt right, Amazon did not grow into the behemoth it is by wasting time arguing with the absurd. There are no other companies competing for the land Amazon was going to build on. The result of the campaign to oust Amazon is not only a loss in revenues but a disincentive to other companies contemplating New York.